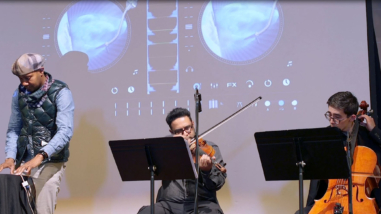 Community School of Music and Arts (CSMA) is one of the Bay Area’s largest music and visual arts education organizations, providing arts training for people of all ages and abilities. 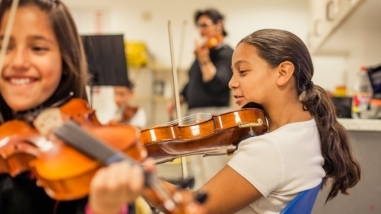 The organization’s music program includes individual lessons, group classes, camps, and public performances. Its in-school programs provide weekly standards-based, sequential visual arts and music classes in 58 local schools, reaching 23,000 children in San Mateo and Santa Clara counties, including some of the region’s most underserved populations. Community School of Music and Arts (CSMA) is one of the Bay Area’s largest music and visual arts education organizations, providing arts training for people of all ages and abilities. The organization’s music program includes individual lessons, group classes, camps, and public performances. Its in-school programs provide weekly standards-based, sequential visual arts and music classes in 40 local schools, reaching 16,000 children in San Mateo and Santa Clara counties, including some of the region’s most underserved populations. Capital support will enable CSMA to build an extension to its current building, which in turn will allow it to serve more youth in a higher-quality facility.